I am very happy to recommend Hotter shoes. 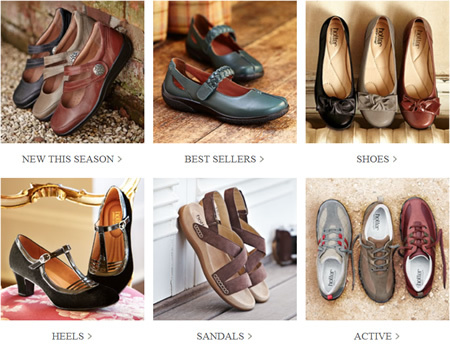 Hoter shoes: sandals, shoes, fashion shoes, casual shoes, men's shoes, ladies shoes, extra wide shoes and sandals. 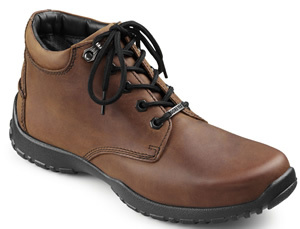 Comfort shoes for every occasion. Some available in extra wide fit. 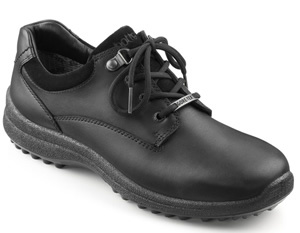 Now also extra extra wide (EEE) fitting ladies shoes. At the moment they are only available in very limited styles but I am sure this range will be expanded. Hotter have been selling footwear since 1959 and now have a huge following. Everyone these days wants both comfort and style. Hotter describe themselves as being passionate about style and passionate about comfort. As a chiropodist and podiatrist I am happy to thoroughly recommend Hotter shoes. 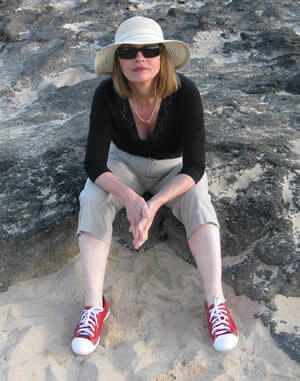 Here I am on holiday in the summer wearing my Hotter beach shoes.